Does the budget Sandy Bridge processor provide enough features? After all the Sandy Bridge goodness without the quad-core price-tag? 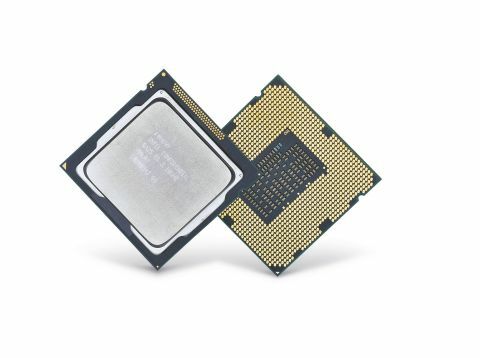 Then the dual-core Intel Core i3 2100 might well be up your street. While the high-end unlocked Sandy Bridge CPUs, the Intel Core i7 2600K and Intel Core i5 2500K were rightfully taking all the plaudits for being overclocking monsters, the 2600K especially, not many people were looking at the other end of the food chain. That is to say in the value end of the market where the lowly Intel Core i3 2100 is to be found. As with all the current Sandy Bridge processors, it's built on the 32nm process and manages to pack 504 million transistors into its die. The Core i3 2100 is clocked at 3.1GHz with 3MB of L3 cache, which sounds like it should be a fairly blazing chip. However it has no Turbo Boost and is totally locked down, so there's no overclocking fun available on the processing side. This is a pity, because some of the best overclockable Intel chips in the past have come from this segment of the market.